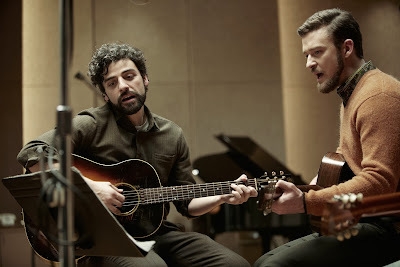 Llewyn Davis (Oscar Isaac) and Jim Berkey (Justin Timberlake) make some beautiful music together in "Inside Llewyn Davis." Photo by Alison Rosa / Long Strange Trip LLC. “I feel like I need a bath,” spat one scribe lucky enough to get a seat in super-packed Walter Reade Theater during the press screening of “Inside Llewyn Davis” ahead of its North American premiere at the 51st New York Film Festival (NYFF) in September. “This guy just sits around on other people’s couches playing his guitar; he never washes,” scribe fairly sneered. Fresh off of a “Best Feature” win Monday night at the 23rd Gotham Independent Film Awards (http://www.bit.ly/1967BTw), “Inside Llewyn Davis” chronicles a week in the life of the singer-songwriter (Oscar Isaac) of the title and a stray cat on New York’s folk music scene in 1961 – BD (Before Dylan. It opens in limited released today in New York and Los Angeles. (See trailer below). The latest effort from writers, directors, co-producers Ethan and Joel Coen romanticizes this particular grittyistic New York of a bygone era. The acting is first-rate and Bruno Delbonnel’s cinematography is celestial. During the post-NYFF “Inside Llewyn Davis” screening, it was clear that the Coens’ enjoyed the experience of birthing the film. "We wanted to do something set in the scene before Dylan showed up specifically …, " said JC, the mouthpiece of the duo. "There were people writing songs and singing them before Bob Dylan … " (Benjamin Pike appears as a young Bob Dylan, before he owned the milieu, as it were). The siblings re-uped with T Bone Burnett, ensuring the authenticity of the sound. Also starring is another frequent collaborator, John Goodman, along with Carey Mulligan, Justin Timberlake and F. Murray Abraham. A second scribe who also scored a seat before they were gone gave “Inside Llewyn Davis” a thumb’s up. “Good. I liked it,” was his pithy assessment. 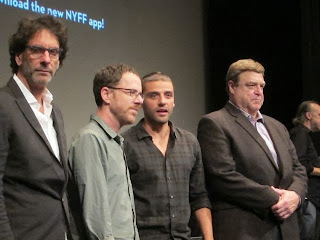 Joel Coen, Ethan Coen, Oscar Isaacs and John Goodman face the media after the "51st New York Film Festival" press screening of "Inside LLewyn Davis." Photo by Brian Brooks / New York Film Festival. Generally, critics and preview audiences concur with Scribe No. 2. 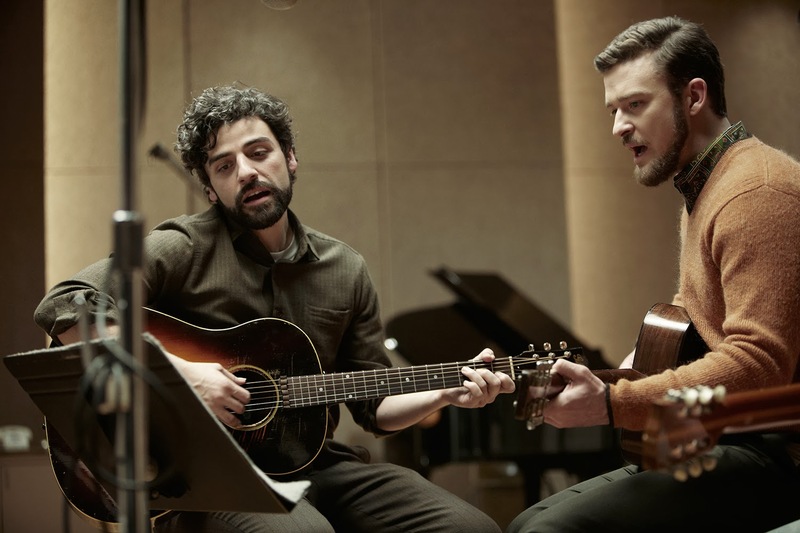 It is unclear whether “Inside Llewyn Davis” left them feeling dirty. “Inside Llewyn Davis” is rated R for language including some sexual references; visit http://www.insidellewyndavis.com/home to learn more about the film.